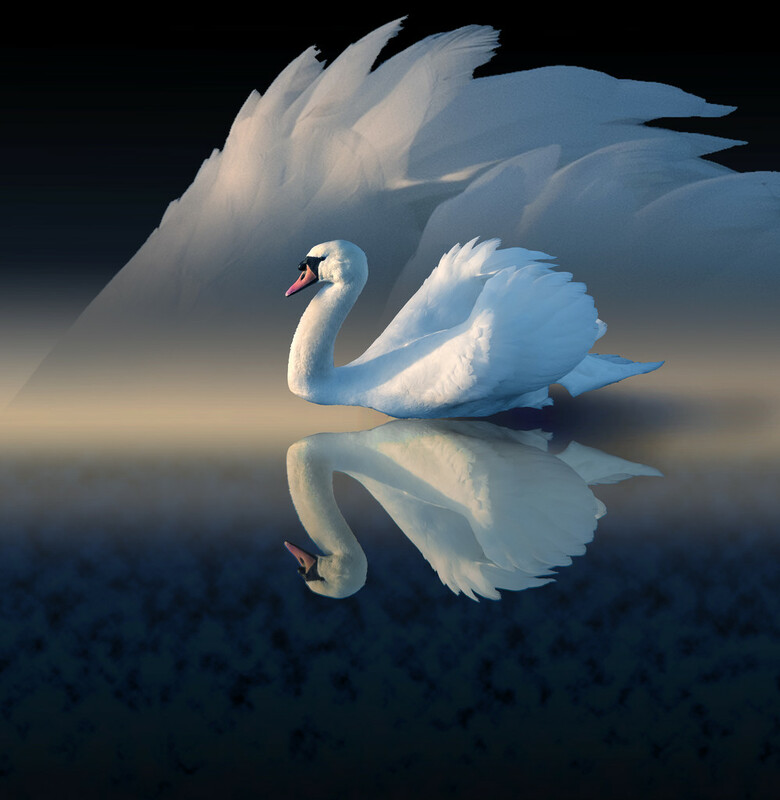 Original image of swan cut out from background, this was duplicated and then flipped vertically with opacity of the layer set to 80% to create the reflection. Section of wing copied and enlarged to create the background. Gradient fill of blue to black with Render Clouds Filter applied to create the foreground. Masterful execution and the result is sublime - kudos to you... and a Fav! Gorgeous. Thanks for including the processing info. Instant fav. Thanks for the explanation of how you did this. It came out so well.